You can rev up your metabolic engine, feel more satisfied when you eat, burn more calories, and lose more body fat -- all without even changing how MUCH you eat. Recent studies show how three key things -- all of which I discuss in UltraMetabolism - can accomplish these goals. They all stem from one central idea: an increase in thermogenesis, the creation of heat in the body -- literally, turning up your metabolic fire. Whether you eat all your day's food at once or in several meals throughout the day shouldn't affect your weight -- it's all about calories in, calories out, right? In fact, a recent study published in the American Journal of Clinical Nutrition (i) looked at the effects of regular meal frequency on fat burning (your internal thermostat), insulin sensitivity, and cholesterol in healthy obese women. The researchers compared people who ate small, regular, frequent meals (about 6 a day) to people who ate less regular meals a day. Their results might surprise you! Those people who ate more regular meal patterns showed startling differences. They had increased thermogenesis -- a faster, hotter, metabolism -- from what is called the thermic effect of food (the TEF factor). This TEF factor makes you feel full. It somehow triggers the brain to feel satisfied and reduces your appetite. So when you eat regularly throughout the day, you get a slow steady burn effect from the food. But when you eat erratically -- by skipping meals, snacking frequently, eating away from home, or eating late -- like so many of us do, your body gets mixed signals. This irregular eating pattern leads to a lower energy expenditure (EE), or calorie burning, than regular meals. In fact, during the periods that you don't eat, your body's metabolism slows down to conserve energy. And it's not just your weight that can suffer. In the same study, the authors found that those who ate in an irregular pattern had higher levels of cholesterol and higher levels of insulin, which is the major fat storage hormone. The more insulin that your body makes after meals, the fatter you will be. Timing makes a difference, too. Studies show that eating breakfast (ii) and not eating late (iii) can both lead to reductions in body weight, independent of calories. (For more on this, see my chapter on the Sumo Wrestler Myth in UltraMetabolism). What's so amazing about all this? It has nothing to do even with the content or type of food you eat. Simply changing when and how often you eat can have dramatic effects on your weight! Now let's look at the effect of changing the composition of the meal. That is, what happens if you change the ratio of fat, protein, and carbohydrates -- but not calories? 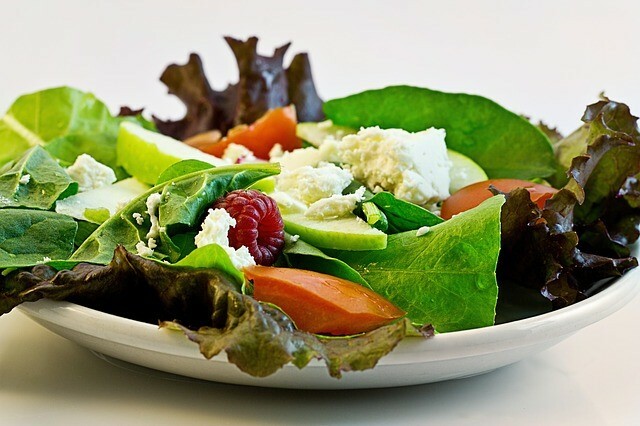 First, recent studies have clearly shown that low-fat diets don't work. End of story. Well, they do work IF you give up carbs -- the most important source of health-giving compounds in our diet, including fiber, vitamins, minerals, antioxidants, phytonutrients, and more. So this weight loss success comes at a price: your poor health. And low-carb diets also give you constipation, bad breath, hemorrhoids, headaches, and even muscle weakness and pain. So what about diets with more protein? Protein, it seems, is also more thermogenic. Protein burns hotter than other food sources -- so at the end of the day, you have burned off more calories than you store when you eat protein. Don't just take my word for it. Science backs this up. This may not seem like much -- but over a year, it's equivalent to an extra 7.4 pounds of weight loss. Protein has even more benefits. Eating more good quality protein can help you not only lose weight, but lose it in the right places - your hips and belly. A higher protein diet can help you lower your waist circumference, waist-to-hip ratio (one of the most important measurements in your body, which predicts heart disease, cancer, and death better than almost anything), and intra-abdominal adipose tissue (otherwise known as belly fat)! There are just a few caveats. People with kidney failure have to be cautious with increasing their protein intake. And those with concerns about osteoporosis should focus on plant sources of protein (like nuts, seeds, beans, and whole grains), because the high acid content of animal protein may cause bone loss. Finally, let's look at the effects of something that has nothing to do with meal timing, meal composition, or calories. It is part of a fantastic new recognized class of compounds called polyphenols, powerful plant chemicals or phytonutrients that interact with human biology to keep us healthy. Tea is the most widely consumed beverage in the world -- and I'm not talking about Lipton's tea here, which is the bottom of the barrel in terms of quality. I am talking about real, brewed green tea and the polyphenols it contains, which are called catechins. This group of chemicals is so wide in its effects that I will write more about it later. For now, let's look at just its metabolic effects. The effects of catechins on metabolism in this double-blind, controlled study were two-fold. The first effect of catechins was to increase thermogenesis, or calorie burning. People who drank 690 milligrams of catechins in the form of green tea daily for 12 weeks had lower body weight, body mass index, waist circumference, total body fat, and subcutaneous body fat. That's WITHOUT changing their calorie intake. The second effect was green tea's antioxidant properties. I describe in detail the effects of free radicals and oxidative stress ("rusting") on weight in UltraMetabolism. This study further confirms this effect. Not only did the green tea and catechins increase calorie burning, but they prevented the damaging effects of free radicals on metabolism by reducing oxidized or rancid fats. Other studies show how rancid fats and oxidation may interfere with metabolism. To sum up, this research shows that green tea can affect weight loss in two ways -- by increasing thermogenesis and by reducing the damaging effects of oxidative stress on metabolism. So what can you do to incorporate these research findings into your life and lose weight and increase your metabolism without changing the calorie content of your diet? Eat breakfast every day, and eat protein for breakfast every day. Try omega-3 eggs, nut butters on whole grain bread, and protein shakes. 2) Boost your protein intake. Have some protein with every meal. Eat regular meals every day. That's breakfast, lunch, dinner, and one or two snacks. 4) Don't go to bed too full. Finish eating 2 to 3 hours before bed. 5) Make it your cup of tea. Drink 1 to 2 cups of good quality green tea (obtainable inexpensively from Asian grocers), steeped for 5 minutes in hot water every day. What happens to you if you skip meals? Have you noticed that eating carbs for breakfast increases your appetite throughout the day, or that having that omelet in the morning is more satisfying?